Everyone remembers great movie from 90’s about the taxi driver, who loves speeding. A lot of us then wanted to be as him. 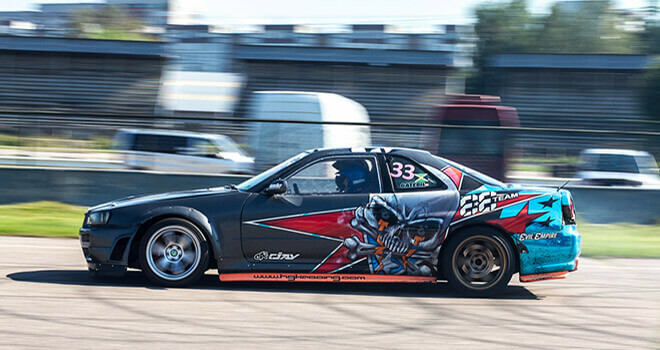 Drift taxi, which driver is Janis Eglite, threefold Latvian champion, one of the best drifters in Europe, is an entertainment where normal taxi is replaced with a special drift car. Passengers will get unforgettable feelings, adrenaline, speed, drift and fumes. 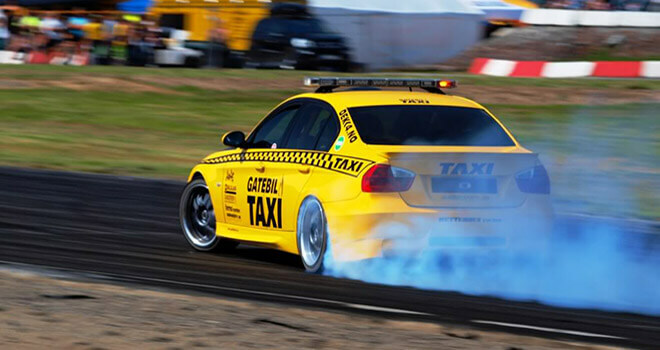 We will pick you up from your hotel and drive to the track. There your taxi will wait you. Get ready for some extreme emotions and unforgettable drift. Drive will last 5-6 minutes. You will hear an instruction and get everything for your safety. Also you will get a video from your drive as a nice souvenir so you would never forget this experience. This is a great way how to start your stag party! 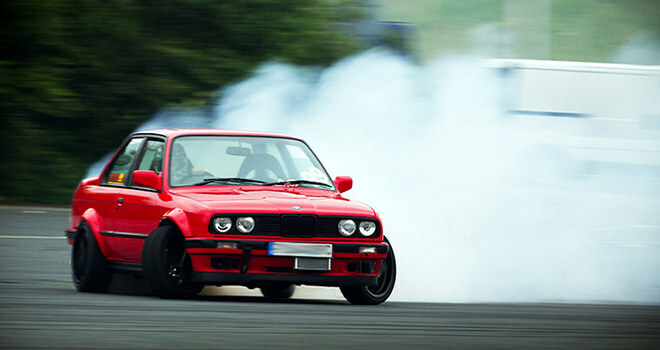 Speed, drift, sport car and adrenaline – what a great combination!